Welcome to the site! Dr. Jen Dyer is a ‘stylish’ pediatric endocrinologist and technology entrepreneur passionate about helping young people with diabetes live positive, full, modern, empowered, and long lives. 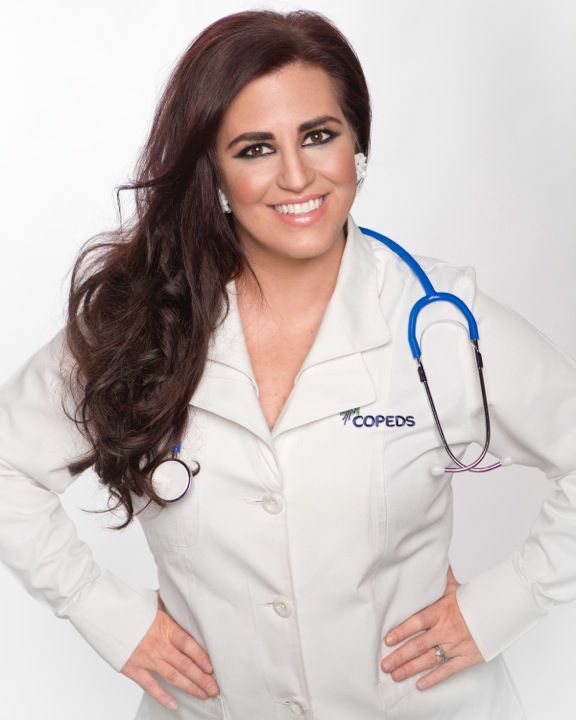 Dr. Jen Dyer is a pediatric endocrinologist in private practice in Columbus Ohio, an accomplished behavioral researcher with a MPH, a mobile health entrepreneur having created the award-winning EndoGoal Diabetes Rewards App, and a social media enthusiast (@EndoGoddess). She is a thought leader in driving data-based health outcomes and behavior change with mobile health, gaming, and social media which she has discussed at Diabetes Technology Society, ADA, The White House, Doctors 2.0 & You in Paris, TEDx, SXSW, Stanford, Mayo Clinic, mHealth Summit, and Harvard to date. Dr. Dyer began developing apps to automate her successful weekly SMS texting protocol that she used with her teen diabetic patients to improve their insulin adherence. All of her app programs are evidence-based using BJ Fogg's health behavior model. As an entrepreneur, she created the startup EndoGoddess LLC in 2011 which entered into partnership with a larger Ohio mobile software startup, Duet Health, shortly thereafter. Duet Health, named after its doctor-patient focus, is a mobile software startup in Columbus, Ohio producing evidence-based mobile solutions for hospital systems, small physician practices, pharmacies, insurance companies, and medical education companies since 2009. Using seed funding, together they developed the EndoGoddess App in 2011 and then the award-winning EndoGoal App in 2012 (available for ios/android download) for patients with diabetes who require insulin therapy and need motivation for glucose and insulin tracking. The EndoGoddess App was designed to provide iTunes rewards specifically for motivation of teenagers. The EndoGoal App was then designed to reach a larger demographic base by offering broader rewards such as prepaid visa cards and/or retail gift cards with retail partners. The completed EndoGoal App Rewards Program with a one of a kind transaction process is currently in storyboard format and being prepared for the build of the transaction process by nonprofit technology company, Groundwork Group. Groundwork Group, also in Columbus Ohio, has extensive experience with building original web-based and mobile platforms for fundraising through sponsorship of individuals in athletic events often utilized by nonprofits. Dr. Dyer combines her technology knowledge with her traditional endocrinology training daily in private practice at Central Ohio Pediatric Endocrinology and Diabetes Services (COPEDS) in Columbus, Ohio to help young people with diabetes to live positive, full, modern, empowered, and long lives. Dr. Dyer attended medical school at The University of Texas Health Science Center San Antonio graduating with a MD degree in 2000. She completed her pediatric and endocrinology medical training at The University of Texas Southwestern Medical Center Dallas in 2006. She then attended The Ohio State University College of Public Health graduating with a Masters in Public Health in health behavior studies in 2008.